I’m a mother, a farmer, a reviewer, a cow wrangler, a pig chaser, a chicken watcher, a dog snuggler. I am sometimes impatient, often curious and usually happy. I think Goats are Assholes, Guineas have a deathwish and Amazon is way too tempting. We recently took our 400+ lb Berkshire Hampshire Hog to the “Freezer Camp” and got her made into food. 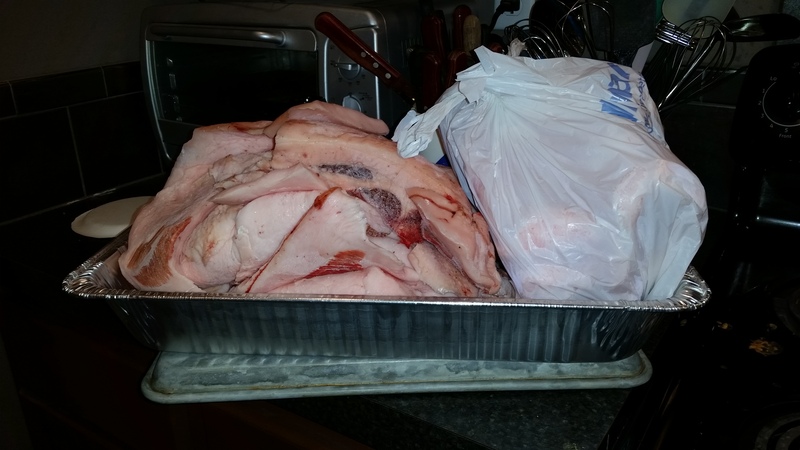 This was our second large pig to slaughter, and the first time we got back fat to render into lard. All the fat from the pig. My first try didn’t work very well. 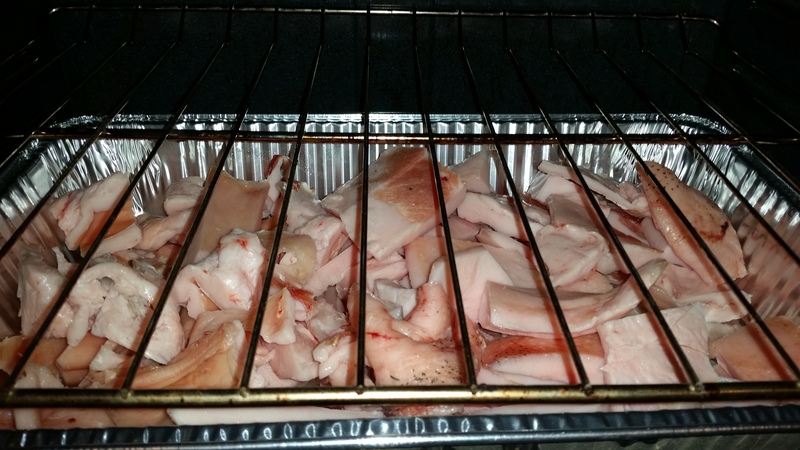 You’re supposed to cut the pieces into small pieces so the fat will melt out and you’ll be left with the cracklings. 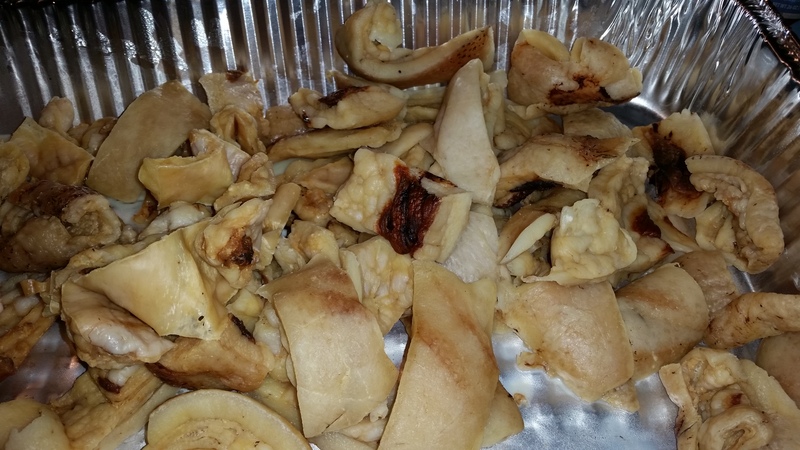 I didn’t cut the pieces small enough and I ended up with no cracklings and very little (comparatively) fat. 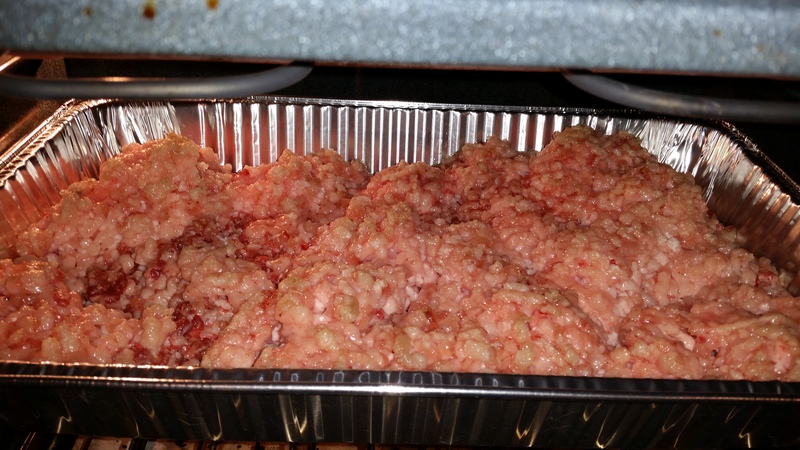 After the fat was drained, there’s still a lot of fat that didn’t get rendered and there’s no crackling. All of it should look like those dark bits. 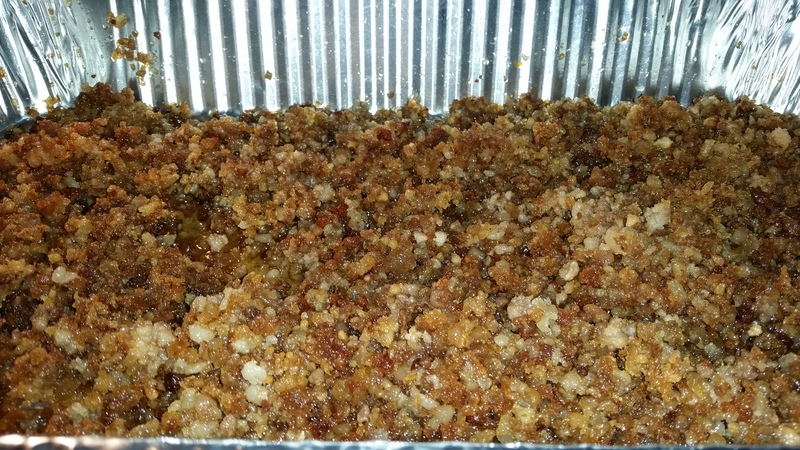 So the first attempt did get some lard, but not nearly enough, 8 hours of cooking and still most of the fat is in the pieces, not in my container. 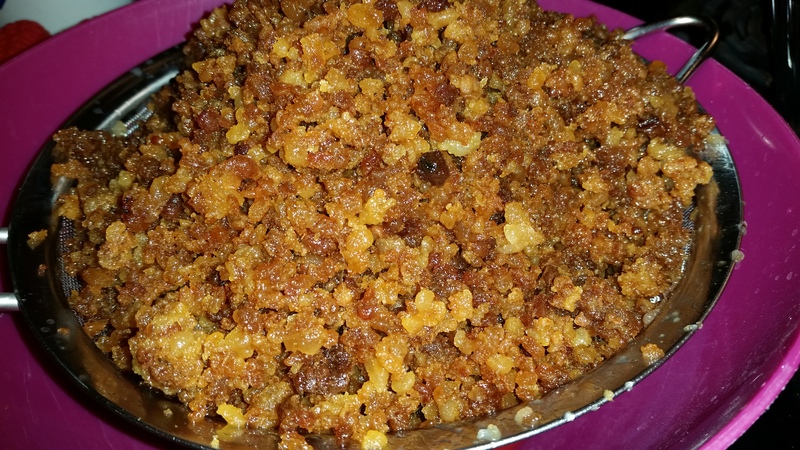 For my next attempt, I decided to grind the pork fat and render it that way. This was much more successful. So this worked a lot better. I baked it at 250 degrees for the majority of the day. I poured off the fat frequently, and stirred after every pour. This helped keep the fat white and therefore less porky smelling tasting. When I started getting down to the end, and the fat started getting darker, I left it for longer because the cracking needed it to properly cook. 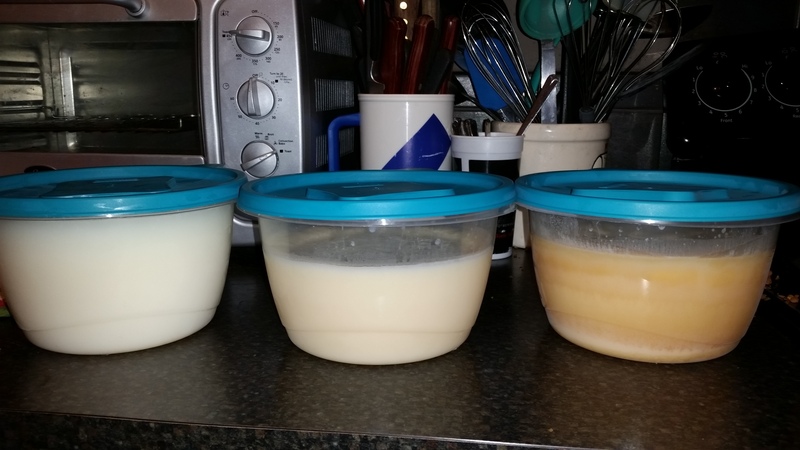 The different colors of the fat I rendered. Far left is the whitest from the ground rendering. 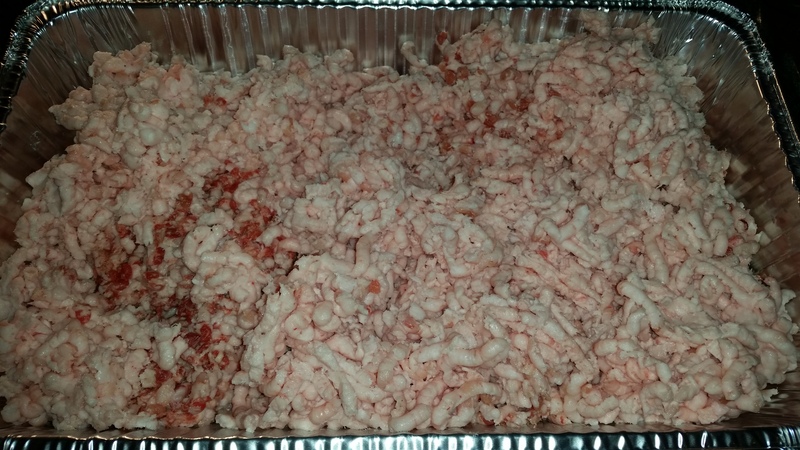 The middle is from the first day made from the large chunks and the last one is from the cracklin, much darker and porkier. The whitest is supposed to be the least flavor, it’s for your desserts and sweet applications, the darker is for your savory products, maybe a pot pie crust or general cooking. I got about 8 pounds of fat from the first two days. I’ve still got another day to go. Wear latex/nitrile gloves. They give your hands a lot more grip. The first day I didn’t wear them and ended up with a bunch of micro cuts all over my hands from so much knifework. It’s easier to cut the fat when it’s thawing. Not too frozen and not too defrosted. My fat was frozen at the butcher’s and I cut off slices that had thawed until I got to the frozen solid parts, and that was how much I rendered that day. 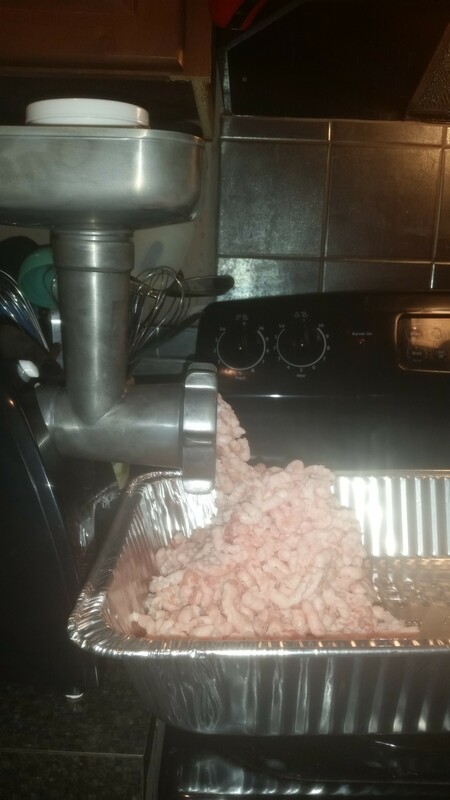 Stir your pork every time you pour the fat off, but not before. When it cooks it starts to clump together and makes the pour easier. Stirring breaks it back up into tiny pieces. Most of the places I read said to put the fat in mason jars, but honestly, take a minute and try to imagine scooping the fat out of a mason jar. That’s why I used big plastic containers.